Well, 32 people attended my workshop on the instructional applications of Web 2.0. 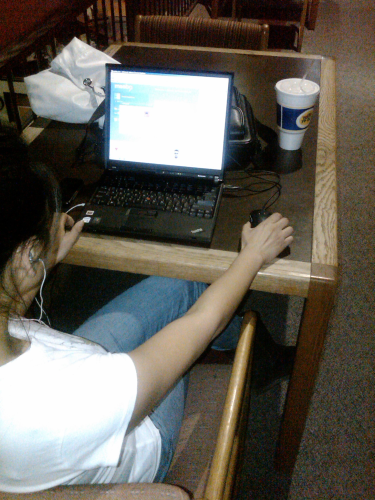 Ironically, around 7:30 PM last night I noticed this student chatting on Meebo, listening to her iPod, and preparing for the coming semester. She is the perfect example of the “Millennial” learner I profiled in the presentation. What a perfect end to Flex Day!